The EOD Disruptor Pouch was specifically designed to fit the Carbonfire Disruptor with the extension attached as well as your firing system! 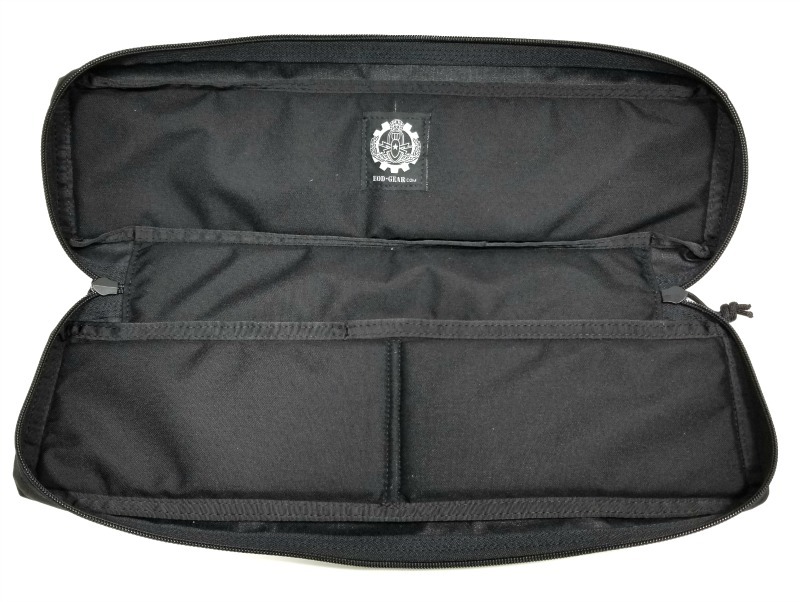 The EOD Disruptor Pouch was designed from inception by speaking with TBT Bomb Techs and Military EOD so that the design would best favor the Tech working out of a slim backpack or our EOD Backpack Insert. The full-clamshell design allows the Tech to completely open the pouch to get their eyes and hands on all parts stowed within the main compartment. The bottom of the pouch is actually flat allowing the case to sit upright. This keeps all the disruptor accessories from falling out. The zippers and zipper pull tabs are large preventing hangups when opening or closing as well as positive control even while wearing gloves. The two large pockets on the outside are mesh providing additional cushioning and allowing the Tech to see what is inside each pouch. All components are US made and Berry Compliant. Nothing from China here. Yes it is more expensive but with the Lifetime Warranty, a solid investment.